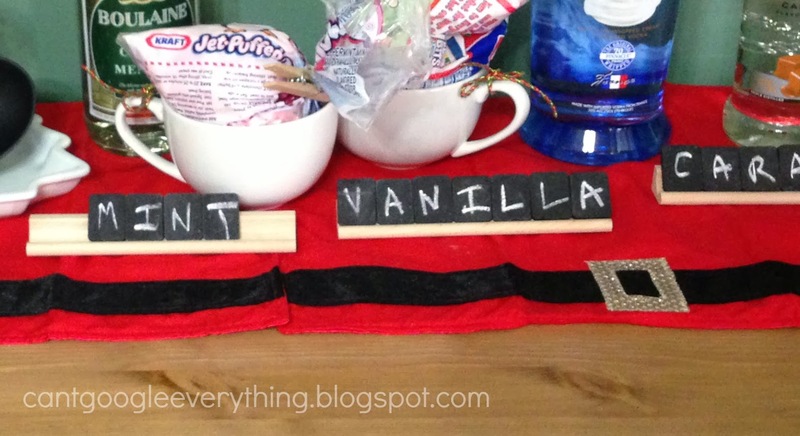 I am not a really crafty person and don’t even come close to claiming to be a “craft” blogger! This is my first every craft post but I really wanted to share because I was so excited to make these! About a month before Thanksgiving I was at Pottery Barn and I saw they had a table setting with chalkboard tile place cards for each person. I thought they were really cute and wanted to buy them for Thanksgiving. I picked up a box- $20! I thought that was ok because I assumed it was a set of 4 or 6- but it was only a set of 2! 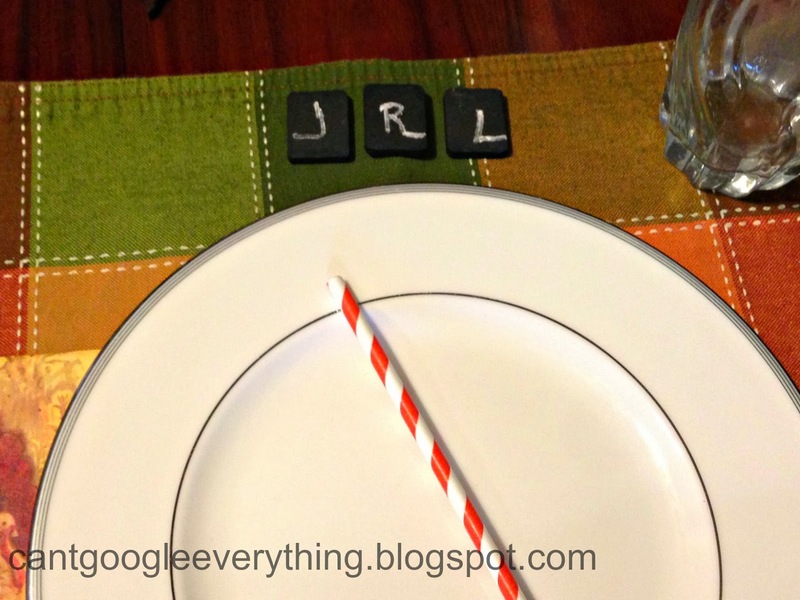 That means to cover the 8 people coming to my Thanksgiving dinner I would have had to spend $80 on place cards. I don’t think so, Pottery Barn! I quickly realized this was something I could most likely make myself, and for much cheaper! So, I put my plan in action! 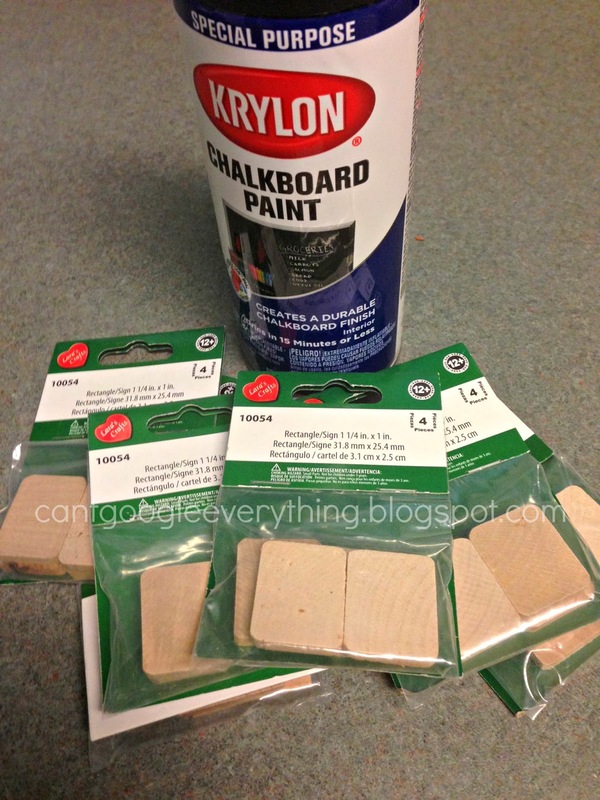 Two easy supplies- chalkboard paint and wood tiles. (I already had the Scrabble tile racks) Oh, and I bought a box of chalk! I spent under $20 for the supplies so the whole project was less than 1/4 the cost of the Pottery Barn ones for 8 people! 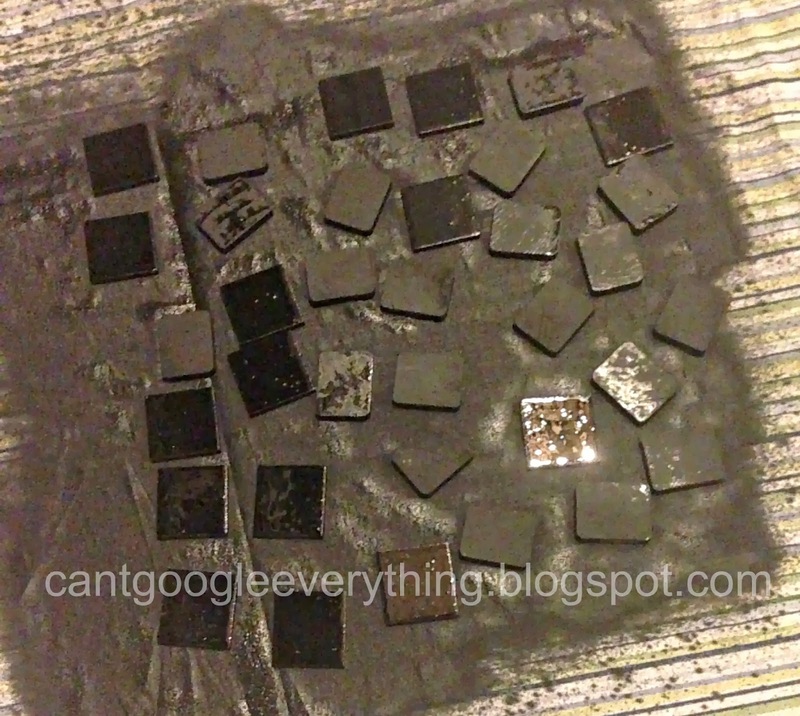 Step 1: Pretty much the only step is the lay to tiles out and spray paint them. Let it dry according to the directions on the can, then flip them and spray the backs! My big mistake was waiting until the last minute (aka, the night before Thanksgiving) to start this project, so my tiles weren’t able to dry for 24 hours before I wrote on them, as the directions on the can suggested! A smaller mistake was using this thin sheet to spay paint on, and it bled through onto the basement floor. Here is an example of my tiles! Because I miss counted, and we had a last minute extra person, I did not have enough to spell everyone’s name out! So we did initials instead! I also used the tiles at our holiday party hot chocolate bar! Aren’t they cute?! I only wish I had nicer handwriting! 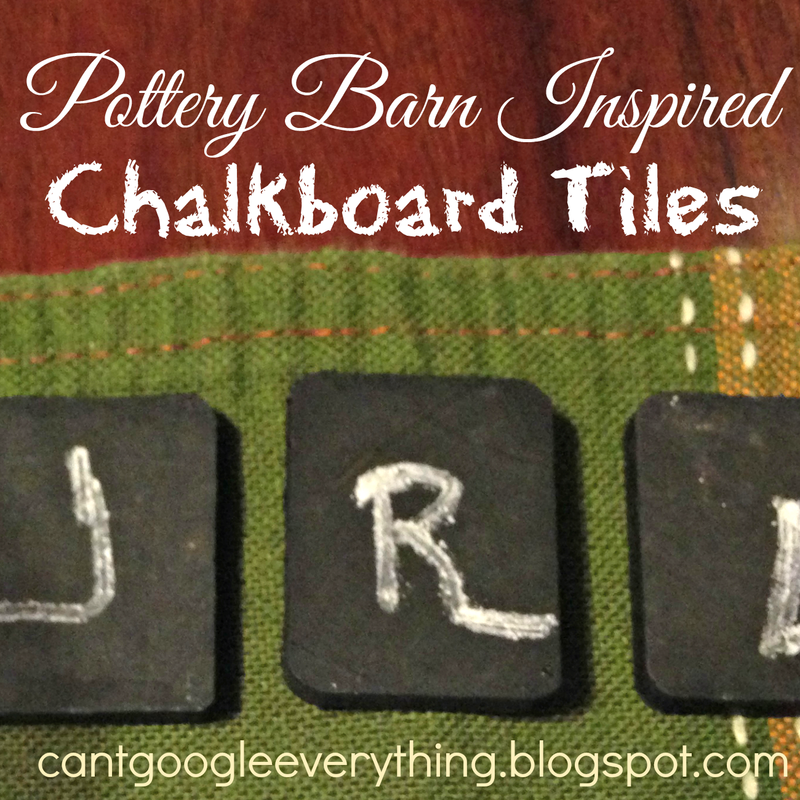 I am excited to think of new ways to use my chalkboard tiles! Now I have a can of chalkboard spray paint to use up! What other chalkboard crafts could I make? Oh my gosh, I just love this project!!! I especially love using the Scrabble holders (do they have a real name?? haha). Great idea! Kids would love these too! What a fantastic idea! I've been thinking of making something with chalkboard paint for awhile. Now I have to do it! I love this idea! It looks so cute on the table. I'm adding this to my list of things to do especially since they have so many uses. These are so fun! I need to make some soon! Cute! And easy is always the best!